Despite Somaliland’s efforts to meet the basic legal prerequisites of statehood, this de facto State since 1991 lacks legal recognition by the international community. However, the election of the new United States administration may be a turning point in the country’s quest of statehood. Despite the various impediments and arguments against its recognition on the international stage, President Donald Trump, backed by Vladimir Putin, might take the leap in making Somaliland becoming the 55th African State. Somalia, a country that was once the focus of world aid and attention, is currently the No. 1 failed state according to the Fund for Peace’s Fragile States Index of 2016. Amid this volatility, one region, recognized by the international community as part of Somalia, has created an autonomous haven of stability and self-governance: Somaliland. Located in the northeastern part of Somalia, Somaliland declared independence on May 18, 1991. No other country has officially recognized Somaliland’s independence, so the region has focused on creating the infrastructure needed for sovereignty and recognition as a member of the international community. It has a government elected by the people it represents—numbering about 3.5 million—with its own public and foreign policy. It has its own currency, a functionally trained military and police, and control over its territory. The next elections were originally planned for this March, but have been postponed until summer 2017 due to a drought, as both the government and the opposition parties decided to focus on relief for those affected. Bridget Coggins, an associate professor of political science at UC Santa Barbara, stated in an email interview, “I am willing to stipulate that, within Somaliland, the basic legal prerequisites of statehood have been met. These facts are fairly unambiguous and have been for a number of years. The law suggests that recognition should follow.” Even though Somaliland ticks the boxes of statehood, it is not recognized as a state. With potential for the new U.S. administration to be sympathetic to Somaliland’s appeals for recognition, however, this could be an opportunity for the country to clear the impediments that have kept it from joining the international community. Another hurdle is that many leaders around the world don’t have any incentive to recognize Somaliland. As Somaliland is not currently consumed by conflict, it doesn’t claim the world’s attention. Coggins described this conundrum, “Unfortunately, crisis and disorder draw the world's attention and resources. Somaliland is certainly not perfectly governed, few places are, but its relative stability and legitimate internal authority make it easy for those outside to ignore.” Those who are more familiar with Somaliland are afraid recognizing the region might reignite old tensions within the country between those who want independence and those who do not, risking the resumption of hostilities in this peaceful part of Somalia. They see South Sudan as an example of a country that remains unstable even after receiving independence from Sudan. As this is only one of two previous cases after decolonization of states gaining independence in Africa, however, relying on those examples alone is not reliable. Furthermore, Somaliland is different in that even though it lacks global recognition, it has functioned as an independent state since 1991. Many, including institutions such as the African Union, have argued that recognizing Somaliland as an independent country could bring turmoil to the region. Pham argues the opposite, as he doesn’t envision a scenario in which Somalia and Somaliland could become a unified state without conflict. With recent changes in the international political arena comes a glimmer of hope for Somaliland’s statehood. If the United States and Russia, two of the world’s leading powers, decide to recognize Somaliland, then most other countries will back them up. With Pham’s encouragement, Donald Trump could well turn U.S. foreign policy upside down and reverse the precedent of non-recognition of Somaliland. The only other country that might stand in the way is Russia, given its relationship with the U.S., but since Somaliland is of no strategic importance to Russia, President Vladimir Putin would have no reason to object. With Pham as an ally in the U.S. government, as long as Somaliland stays in Trump’s good graces and employs dynamic and efficient lobbying methods, it has a better chance at becoming the 55th state in Africa than it did during any previous U.S. administration. Now that Mohamed Farmajo has become the president of Somalia, though, many Somalilanders are saying on social media outlets like Facebook that Somaliland needs to reconsider its pursuit of international recognition and re-join Somalia. 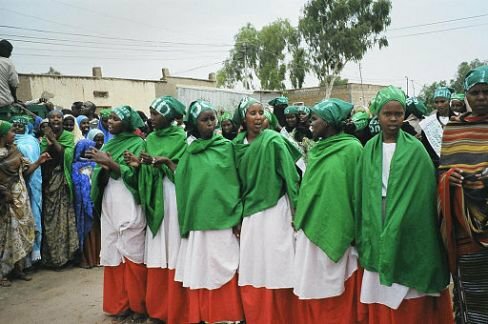 Somaliland has been in limbo for a long time, however, and the Somaliland government and people should remember their past and continue fighting for recognition.